I prefer writing with shoes on my feet. 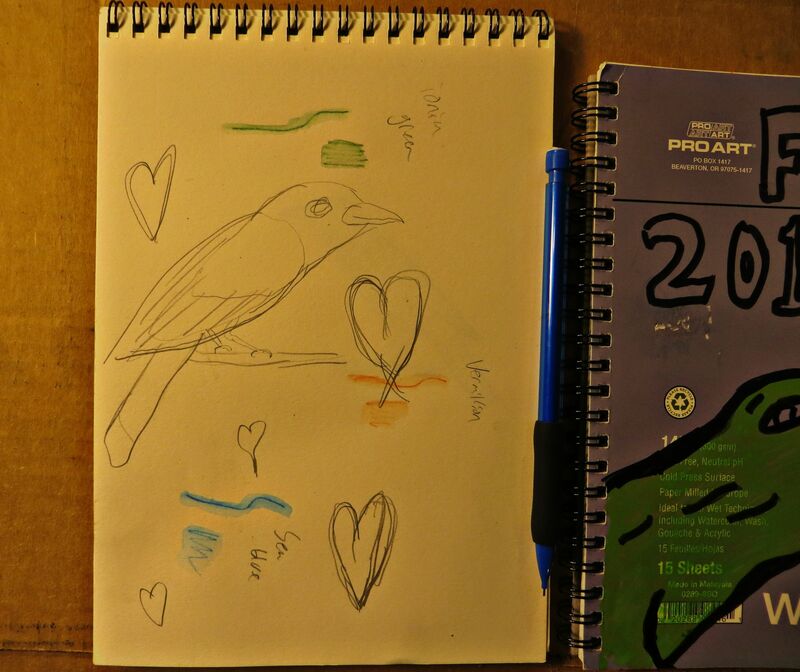 My insistent sketching means that I’ll never have to write a song or poem about birds. Fine by me, they do it on their own. Besides I’m not much for writing songs anyway. I took my shoes off when I caught word the ship was sinking. and turned up the radio. I put my boots on before stepping into the cold morning snow. Got in the car and turned up the heater. No one sang a note. I walked a mile in her moccasins and could finally look myself in the eye again. “…Hoping love would not forsake the days that lie between, lie between”. California dreams of painting hawks for the stars. A few nights ago I had a dream Brad Pitt’s agent hired me to fill a hallway of his (Brad’s) mansion with scientifically accurate hawk paintings. while I worked there has a huge party going on. Jennifer Aniston and John Goodman asked me to do the same for their houses. I remember how the drawings look quite well. Rare for me, details from dreams fade fast from my memory. So I’m going to try and paint one like I did asleep. I got some plywood from the hardware store. It has some pretty nice grain on one side. I’m going to leave as much bare wood grain as possible. Working in acrylics, pencil work laid out this evening. It all ready looks like one from the dream. Oh yeah, Alec Baldwin was there at the party too I think. Ain’t it just like the night to play tricks when you’re trying to be so quiet? Friday night was a “go out and be social” night. To make up for abandoning my sketchbook on valentine’s day, Today I filled three pages with lines and colors. 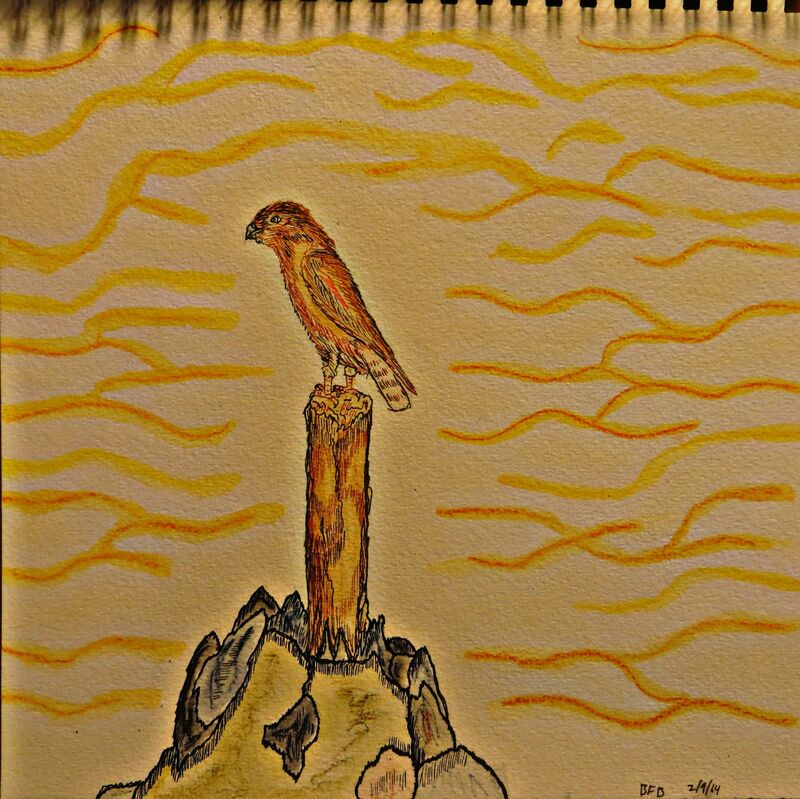 First I colored a drawing of a young owl from the other day. 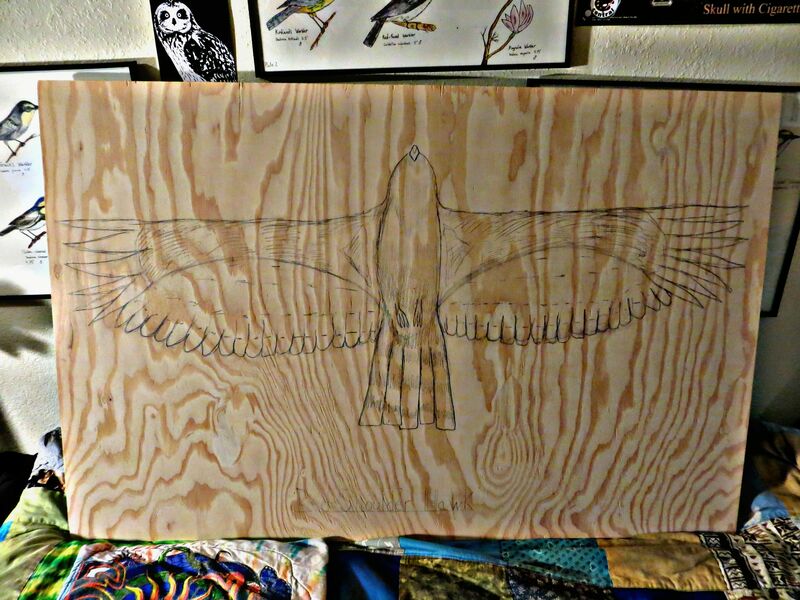 While I worked on that a mockingbird flew to my window to challenge my bird stencils, this no doubt inspired the next page to follow, with a mockingbird on the wing. When that page came to be, I thought of a bird I’ve seen a few of near where I work. A common Yellow-throat. A small masked shrub-dweller with an olive/green hue. Strange dreams and hawks with colored wings. A hawk in the sky, never wondering why. Another day, and another colored page. I got this little notebook of watercolor paper last Saturday. 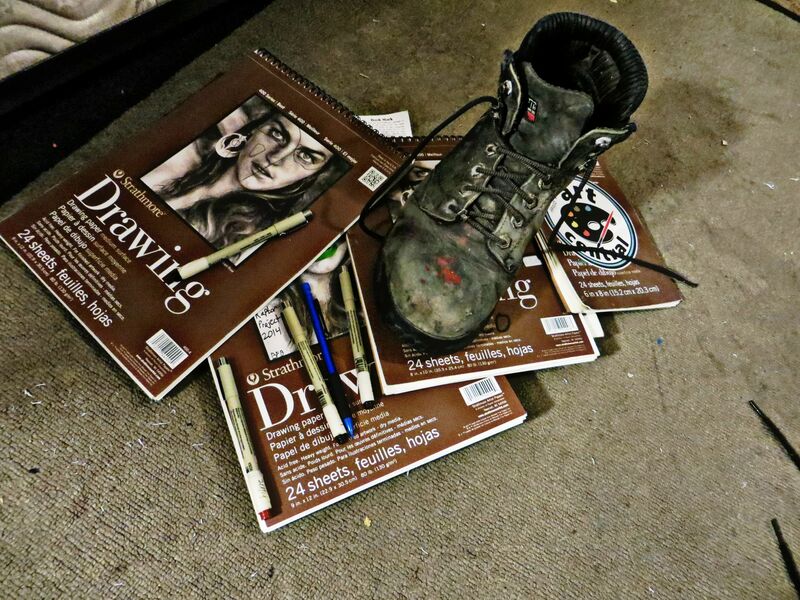 Each day since I’ve filled a page with a drawing and color. There are 15 sheets total in the book. You can do that math pretty easily. Not too long and I’ll be heading back for more blank pages. I always do. It’s been mostly raptors since I finished my warbler collection. I’ll tell you something honest. I haven’t slept right since I finished the Chestnut-sided Warbler some weeks back. 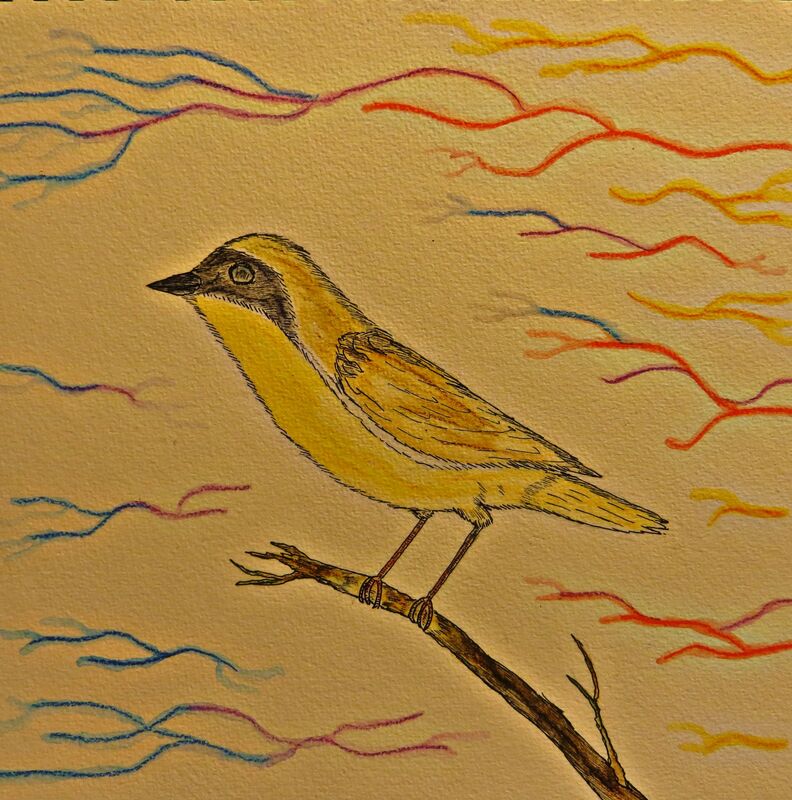 The way I see the drawings is like this: The warblers were a bright colorful poem, while the raptors are a lone song blowing over the prairie. Maybe that shift is why my dreams have been so strange? Silliness, because it’s not like if I draw a Virginia’s Warbler tonight my dreams will be sweet. it’s clearly an unrelated phenomenon, much to my imagination’s dismay. Or as I explain it to myself, rather a larger illustration at work within my mind, the sort that I have no business now trying to pencil onto a page. As it will draw its self in due time. Whatever the case, I tell you this, I’d rather draw any sort of thing and give it color whilst having horrid dreams, than to sleep the night through and never bring a page any color at all. Thank you birds and strange dreams, This is my life and I enjoy it very much. Pencil shavings and eraser marks. Delighted to find myself ending another day illustrating my feathered friends. Hawk on a fence post at dawn. I made this tonight, relaxing after a day well spent on bicycles counting birds. Riding mountain bikes by the ocean today, for a second I could convince myself it was the shores of Lake Superior. The Pacific is a much larger lake, and now after five years of living next to it, she seems a lot like home. 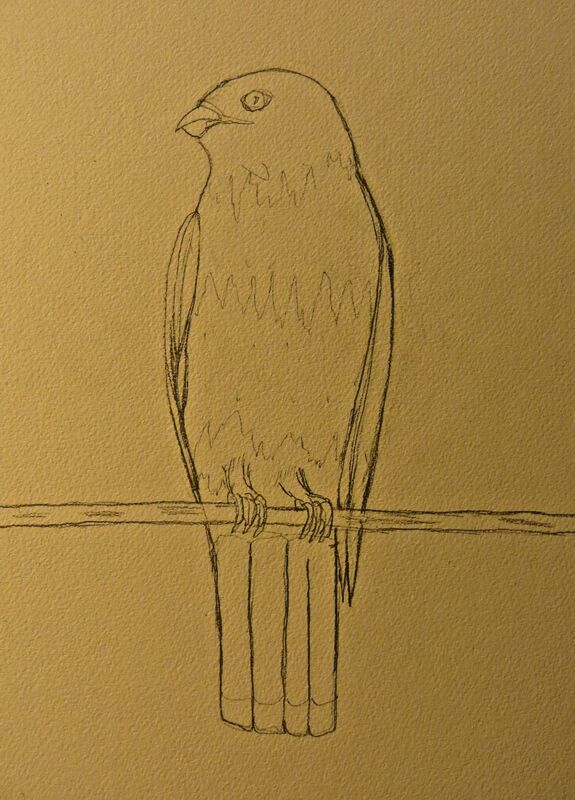 Drawing snowy white birds in a California rain storm. Rain finally bouncing off the leaves on the tree outside my window. We’ve had a dry winterless winter in much of California. I can hear the grasses on the hills around growing and smiling. Hopefully its enough to keep the whole joint from burning up in wildfire come summer. Rain falls outside, I draw pictures inside. With a gallon of orange juice and a new pen in hand. 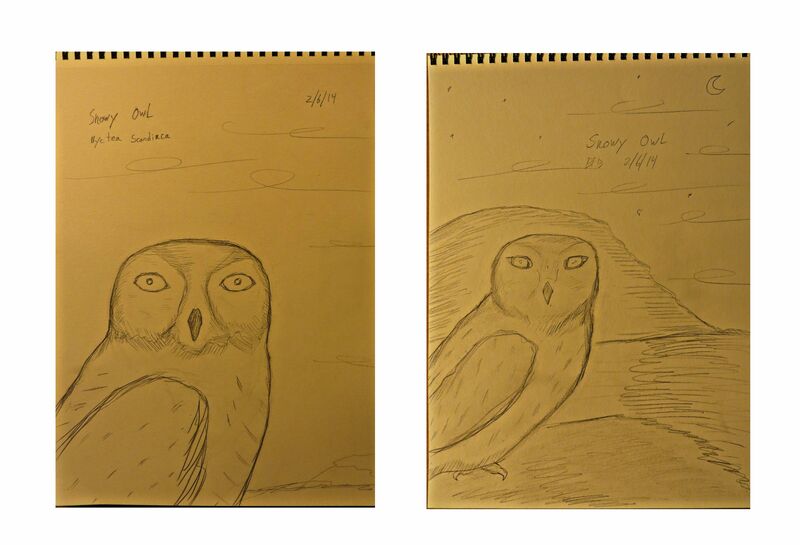 Snowy Owl sketches in a book of paper. 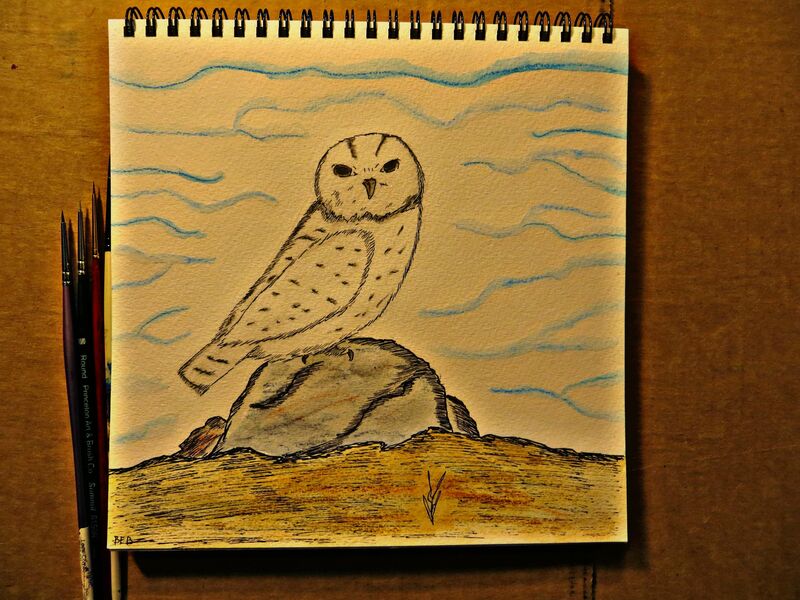 Owls are a favorite subject of mine to observe, sketch, and marvel at. The Snowy Owl is one I have not seen personally. Seems we just don’t share the same territory. I didn’t spend much time in the U.P. in the winter time, which is probably the only place we’d have met. Snowy owl small watercolor illustration study. If one spends lot of time studying something you can pick up on its habits I reckon. 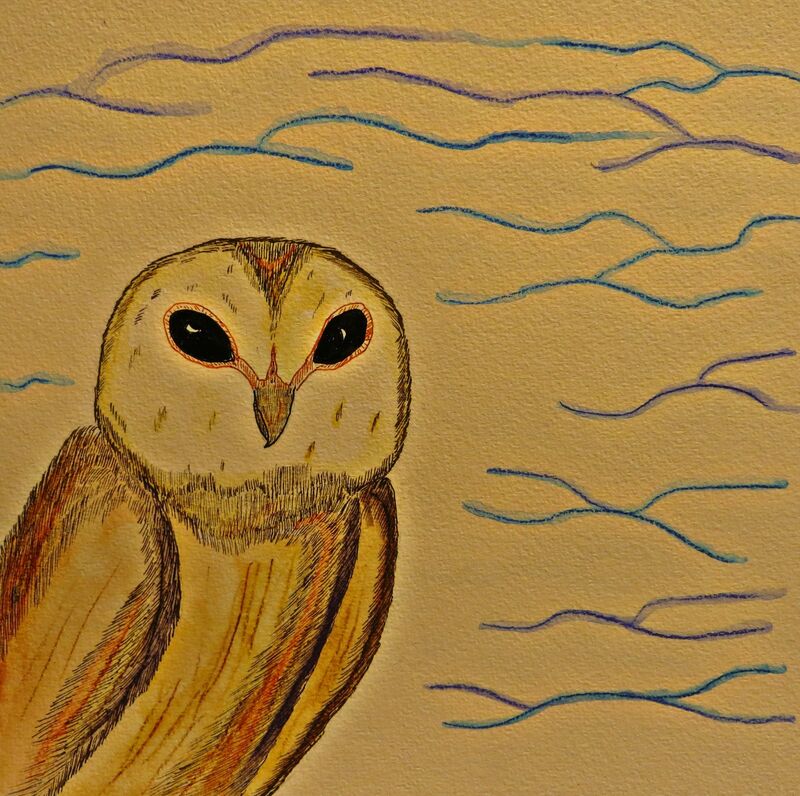 Seeing as another Saturday night finds me again writing about, sketching, and coloring drawings of owls. While many of my peers are out at bars, clubs, and the like, I’m on my own perch hunting for the right color and series of lines to track down my wintery bird. And that’s all right by me. 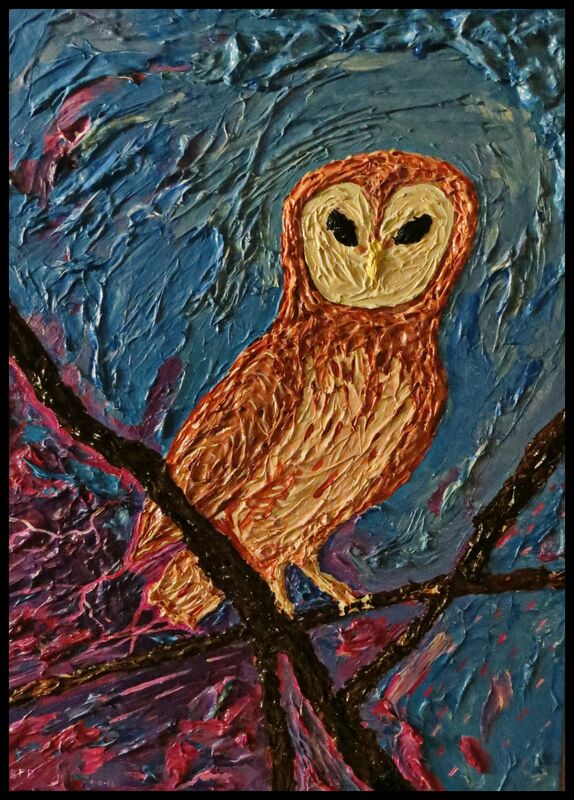 It’s been since December that I’ve shared any of my acrylic work. I started this a few months ago and put the finishing touches on it last night. It will be up at a gallery in town here next month. Working with acrylic versus my usual pen and watercolor brings out a different side of my illustration approach. Paint can allow for a texture otherwise impossible to achieve in pen. I use this concept as my guide for composition and colors. I can exaggerate the colors and light with this medium which I think helps it stand up on its own as a composition. One of my earliest memories is of my father waking me up one summer in Michigan to see the Northern Lights. That sky has stuck in my brain all these years. 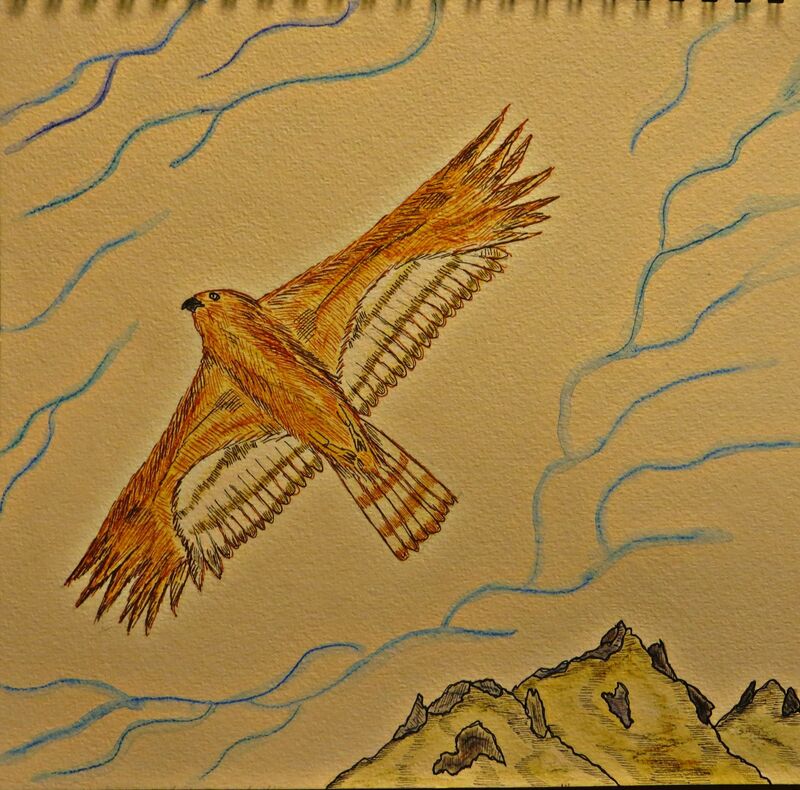 As such I wanted to the sky in this piece to hold as much power and emphasis as the bird. 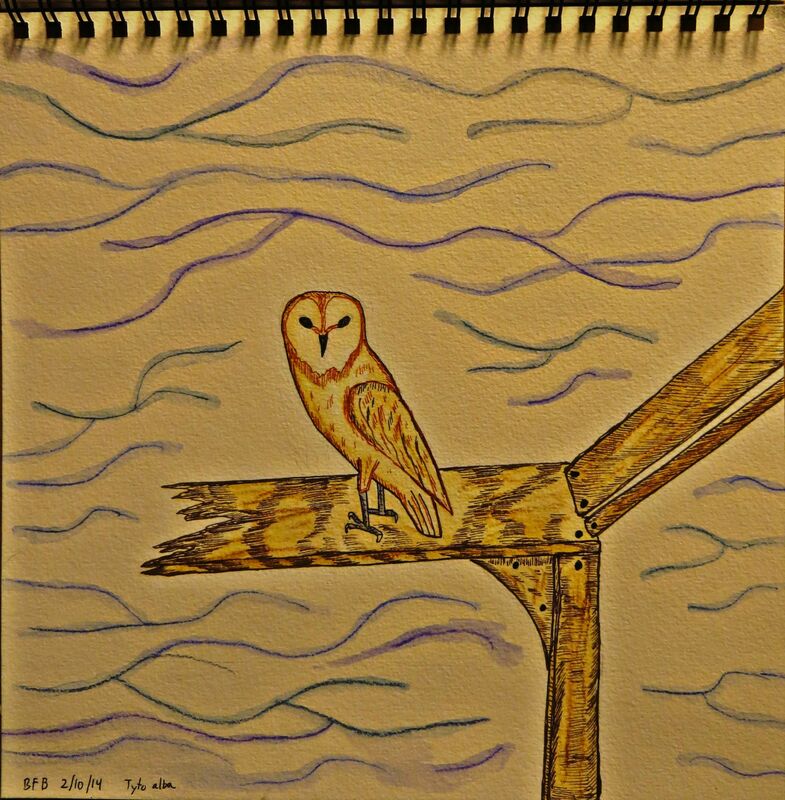 The bird here is a Barn Owl. One of my top 5 favorite birds to illustrate and watch. Every few nights I go out on my bike outside town with lights and ride along fence lines. I usually see at least one Barn Owl per ride. 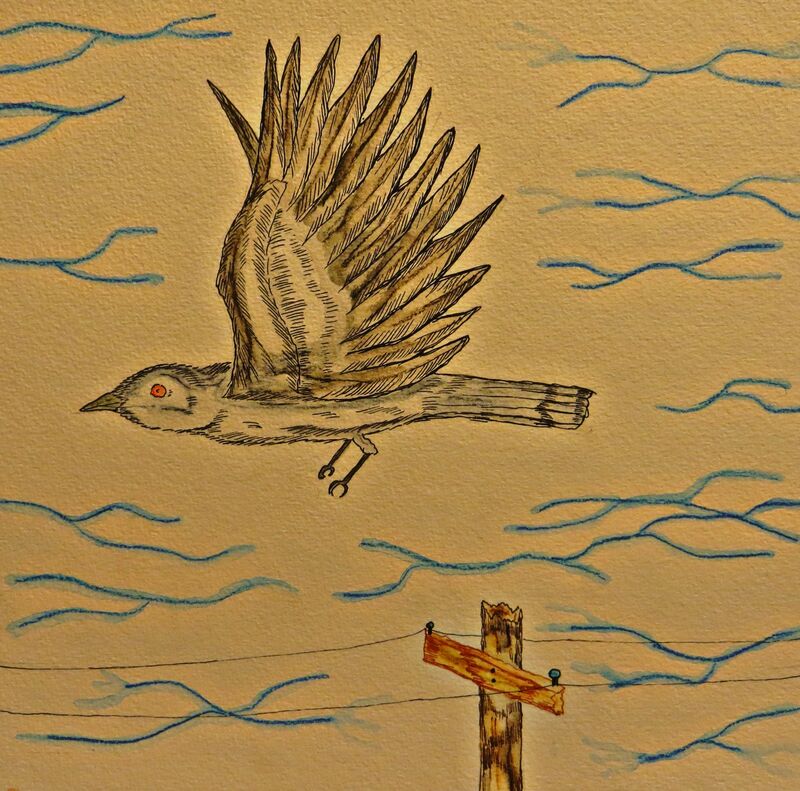 It’s exciting to spot one, often their in flight, or atop a power line pole. Silently scanning the fields for dinner. Their wings cut with silence through the air. A ghost like face, and beautiful glow. Like no other bird I’ve seen. 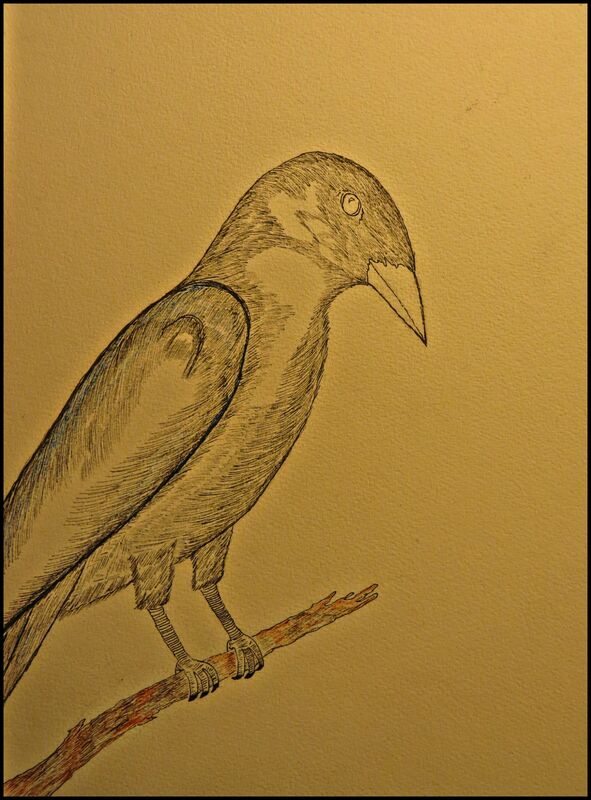 Crow sits on a pen drawn branch. I made this with a couple pens the other evening. I had the radio on and it played a song I liked a long time ago. I enjoying the crows I see around town. This morning on my way to work I watched one dropping a walnut from the power lines above into the street below. His crow friends were watching and chattering loudly. All eyeing up his bounty, waiting for a car to unlock the goods. As soon as it did all alliances were voided in the chase for survival. Such as the deeds are all ways done day to day, whether we see it or not. 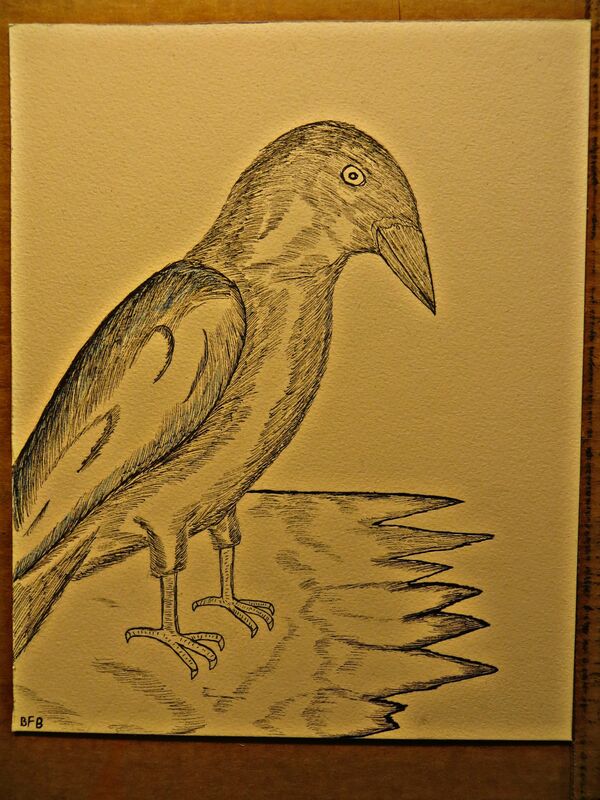 I see a lot of human traits in the crows around here and everywhere I’ve traveled. They chase each other like children on a playground. Holler loudly at passer byers like a drunk down town. Stand stoic like a poet lost in thought. They embody well the poems with wings I strive to pin down on a page. Black as the night, but full of color.